Henry is the son of Elizabeth and Greg Rogers. Born in 2016, Henry was diagnosed with End Stage Renal Disease. The doctors at Cincinnati Children’s Hospital Medical Center in Ohio have recommended a life-saving kidney transplant. An estimated $100,000 is being raised by community volunteers. 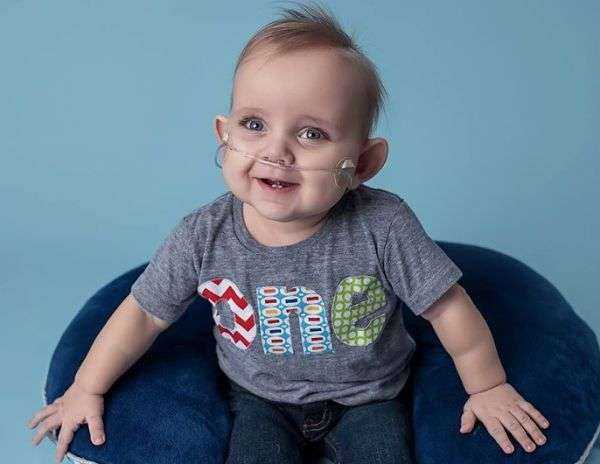 The Children’s Organ Transplant Association (COTA) is helping Henry's friends and family raise funds in honor of baby Henry. COTA is a national charity dedicated to organizing and guiding communities in raising funds to assist with transplant-related expenses. We need your help to raise funds for COTA in honor of Henry. Please make a donation today. As a bonus, all donations made through this site are 100% tax deductible to the fullest extent of the law. Please help spread the word to your friends and family. There is an exponential level of power in friends telling friends and each one contributing even a small amount to the cause.